Take the opportunity to spend a magical weekend in MANTUA UNESCO World heritage site and birthplace of the Renaissance, you'll be among the first to see the "Camera Picta" masterpiece of Andrea Mantegna after restoration work. Since April 3, 2015, with the completion of the restoration work, interrupted in December, we will be reopening to the public room of the couple. In the museum of the Palazzo Ducale the jewel commissioned by the Gonzaga Andrea Mantegna the "Camera Picta" or Wedding Room after a long wait on the part of tourists and lovers of beauty will be so open in its dazzling beauty. 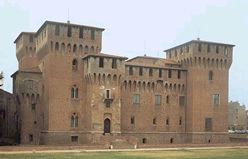 Simultaneously several rooms of the palace will be decorated with precious works, which belong to the collection Freddi. Palazzo della Ragione host the Museum of Madness, from 05.19.2015 to 11.22.2015 curated by Vittorio Sgarbi for EXPO 2015, with an exhibition of 190 works by Antonio Ligabue Gualtieri, including 12 paintings and 2 unpublished drawings from private collections, and 37 works of Peter Ghizzardi, born in Viadana and then moved to Boretto, never before exhibited and published. For the organizers, it is "an invaluable opportunity to meet the historical context - explains their notice - and to know the unusual, leaving seduced by the art of two representatives of the '900 mediopadano, who with hallucinatory air, a sense of nature, adherence to a' humanity to the edge of survival material and spiritual, were capable of a vigorous fight, even when it seemed lost in the mists of madness. The Library of Mantua, established by order of Empress Maria Theresa of Austria has deep roots in the social and cultural fabric of the city and the province: in fact boast more than two centuries of activity, being left open to the public almost continuously since March 30, 1780.
documentary. The reopening and the return of the official municipal library Teresian was thus rescheduled for 29 and 30 March, exactly 234 years after the first opening to the public. Cycling is not only good for environment, but it is also a good way to appreciate landscapes. Speed is not so important: moving slowly lets you see everything and discover places otherwise inaccessible. It is not difficult to cycle around Mantua territory, as it is almost flat. Of course, riding on the morainal hills may be more wearing, but a comfortable cycle track connect them to Mantua and to Peschiera (Lake Garda): this way you will enjoy a landscape full of nature and history. The Province of Mantua was very involved with this cycle track. But other lovely ones run along Po and Mincio riverbanks: there, you may discover the countryside and relax. The Tourism System Po of Lombardy has created a new web platform for the development of cycling in the provinces of Pavia, Lodi, Cremona and Mantova.Were geo-referenced over 2,000 km of cycle tracks and pedestrian paths for which it is possible to build custom itineraries and getting road book printing, elevation maps, tourist information and service. Albergo Bianchi also actively involved in the project conceived by local institutions "VISIT MANTOVA" to try to spread the promotion of tourism in our beautiful city with new ways that we have not yet been taken into account as social networks and video channels launched on telecommunication mass. 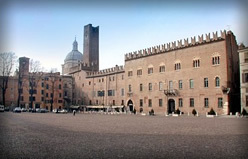 Established since March 28 the fast bus shuttle connection between Mantua and Verona airport (8 daily), starting right in front of our hotel, tickets purchased always APAM office in Piazza Don Leoni, or online at www.turismo.mantova.it site. The cost of a single run is 5 euro, the travel time is about 40/45 minutes. 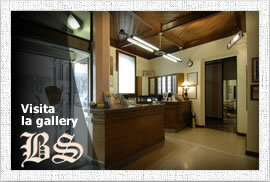 It'can also be booked for the personalized service groups.